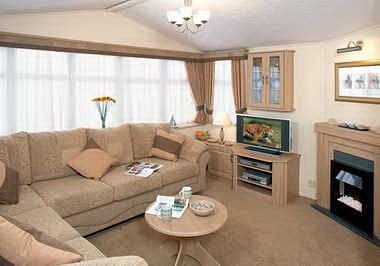 This caravan is in extremely good condition and is situated in a nice private and quiet corner of the park. It has it’s own parking space and a large timber balcony with a nice outlook. 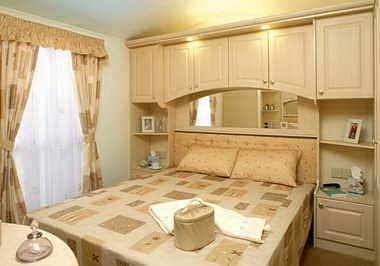 This 2 bedroom caravan has just been recarpeted throughout and has central heating and double glazing. The spacious lounge features it’s own external entrance door. 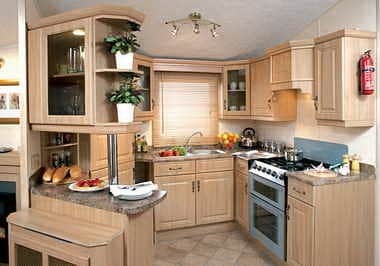 The kitchen is cleverly designed with an integrated fridge freezer and the dining area features a freestanding dining table. The master bedroom has a large walk in wardrobe and it’s own door into the shower/wc making it part en-suite. Please call in advance if you would like to arrange a viewing for this caravan.